The Southwest of France is chiefly known for its wine regions, with several wine-producing areas around Bordeaux. It covers both the upstream areas around the rivers Dordogne and Garonne. The most popular areas for property in Southwest France are above all the Midi-Pyrenees, Dordogne and Aquitaine. Why buy property in southwest France? The area is the second most popular region for British expats. This is largely driven by demand in Dordogne, and thanks to the largely unspoiled landscape stretching from the two regions of Aquitaine and Midi-Pyrenees. 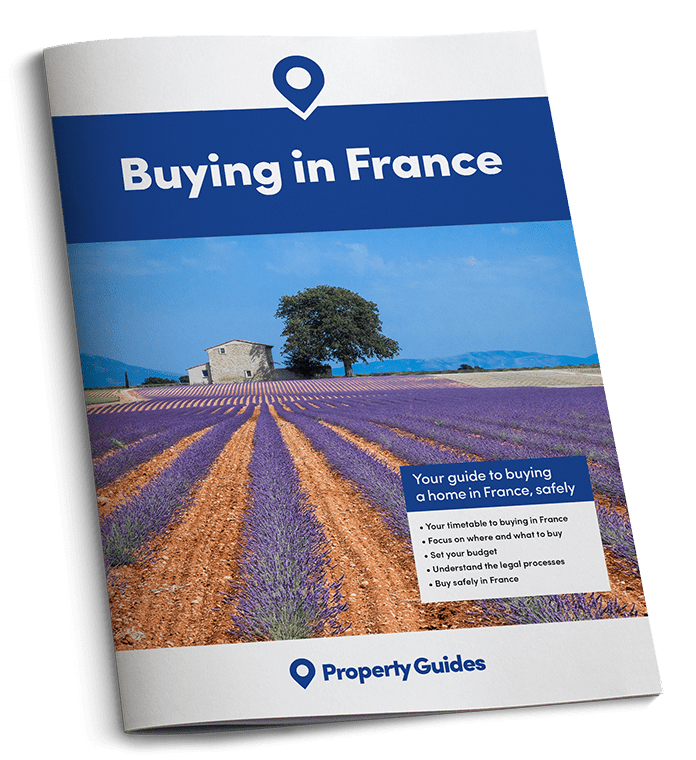 Property in Southwest France has long been the favourite choice with France Property Guide readers. Consequently, we have great relationships with many professional agents in the region. This area is known for its beauty and also its friendly population. This is the largest region of France, surprisingly even bigger than the Netherlands or Denmark. Because of this, you can find huge variety in the area. The rugged Pyrenean Mountains in the south soften into vast stretches of lush farmland. The largest city in the region is Toulouse in Haute-Garonne. It’s also sometimes called ‘La Ville Rose’ for its buildings of a pinkish hue. This is a bustling centre with a rich history and two UNESCO World Heritage sites – a fantastic place for property in Southwest France. If you are looking for somewhere with almost guaranteed long, hot summers, a place brimming with history and the chance to be in Spain or on the ski slopes quickly – this is the place for you! All eight areas of the region are of interest for holiday property in Southwest France. Properties are above all very affordable across the region. The French Notaires Index showing that the average price of a three bedroom house is surprisingly under €154,000 in all but one of the departments. Toulouse also raises the average price of properties in Haute-Garonne. The Gers department is an especially popular location with British homebuyers, known as ‘Little Tuscany’. It is an area of natural beauty, with stunning landscapes. It’s dotted with honey stoned farms, Armagnac and charming bastides – fortified towns built in medieval France, starting around 1229. Toulouse is the capital of the Midi-Pyrénées region. As a large city, property here is significantly more expensive than the countryside. Good news if you’re buying property in Southwest France. This area is well served by very reasonable and regular air and rail transport, not to mention fast and relatively low-traffic motorways. Although a fair way south, it is also very easy to visit just for the weekend by air. You can fly to Bordeaux, Bergerac and Toulouse from various cities across the UK with British Airways, Flybe, Ryanair, Easyjet and Jet2. By rail, the TGV Service connects stations in Paris to Bayonne, Biarritz, Toulouse and Bordeaux. Equally, numerous autoroutes also connect the main cities there to the rest of the country. The Dordogne is located in Aquitaine. It is undeniably one of the most popular areas for property in Southwest France with British buyers. This is due to its beautiful countryside, great weather, budget flights and something of an ‘English’ feel. Geographically, the green countryside is largely due to days of blazing sunshine and the odd downpour. The areas vary from the long beaches of the Atlantic coastline, to huge tracts of pine forest. You also have the peaks of the Pyrenees and vineyards of Bordeaux. The Dordogne is second only to Paris, with its rich history of monuments and historical artefacts. If you are looking for a stunning country location, rich in history, with a slightly higher proportion of English speakers and more of the creature comforts you will recognise than most of rural France, this should be your first stop! There are many farmhouse-style properties available here. They’re often built from rough-hewn limestone in a local style. As well as these. you’ll find Provencal-style manor houses in the southern area. Prices collated by the French Notaires Index show that, among property in Southwest France, it’s significantly more pricey here than the Midi-Pyrenees. That’s due to its enduring popularity. 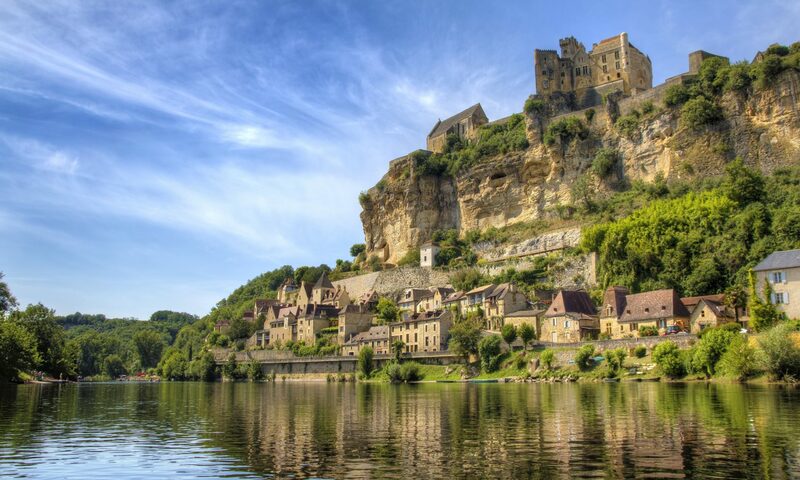 Dordogne is particularly expensive, especially considering the absence of any significant cities. The capital of Aquitaine is Bordeaux in Gironde – a name known to wine drinkers the world over. This is a thriving city, with a population of over 750,000. There is also an international school here, which has been influenced by the UK curriculum. Consequently, you’ll find a great deal of British influence here – shops sell British food and cinemas show films in English. The city of Bordeaux was made a UNESCO Heritage Site in 2007. There are some stunning villages in Dordogne, but you won’t always be able to approach them by water like this. Nearby Bergerac is home to numerous late medieval houses and a statue of Cyrano de Bergerac. It’s a beautiful spot for property in Southwest France. Aquitaine in general is chiefly known for its many farmhouse properties and Provencal style manor houses. 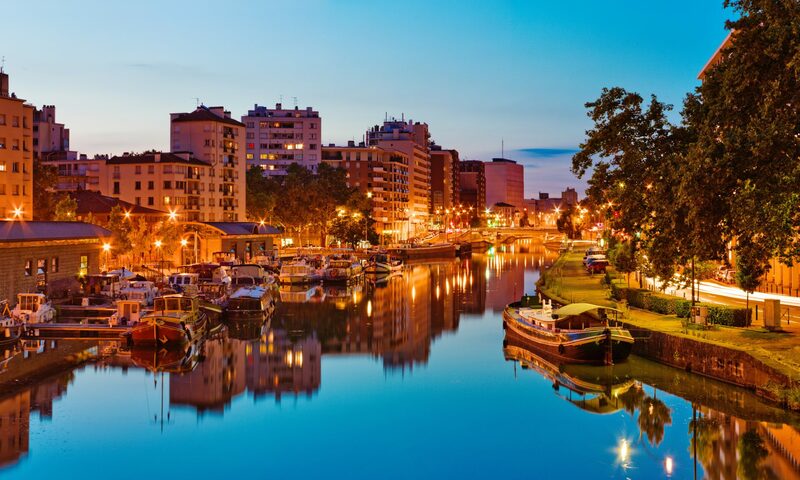 Aquitaine is accessible throughout France and further afield – Flybe, Ryanair, EasyJet and British Airways services arrive in Bergerac and Bordeaux from numerous cities across the UK. Connecting services from the Eurostar in Paris take three hours. You can also travel from London to Perigueux via Lille and Libourne in nine hours. Plenty of options if you have a property in Southwest France!